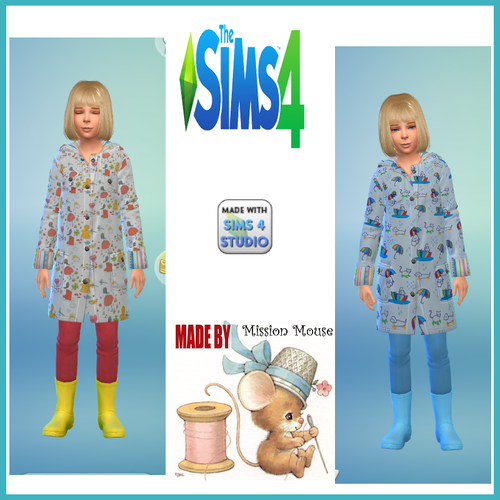 I found some cute patterns depicting a rain theme and thought they'd make fun raincoats for the Simmie's children. Since this is a *Seasons* in-game item, no mesh is required. Obviously you do need the Season's expansion. 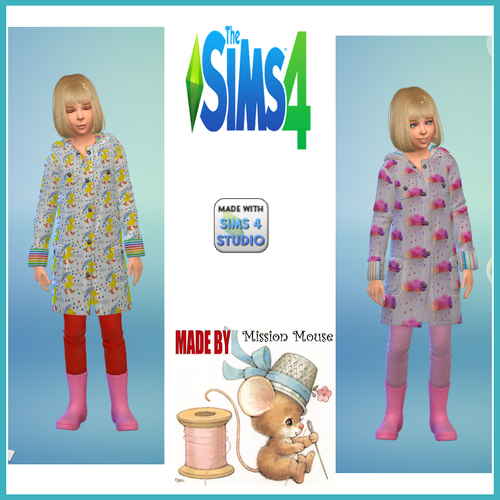 The patterns I use are at Spoonflower and I use Sims4Studio to make the clothing. 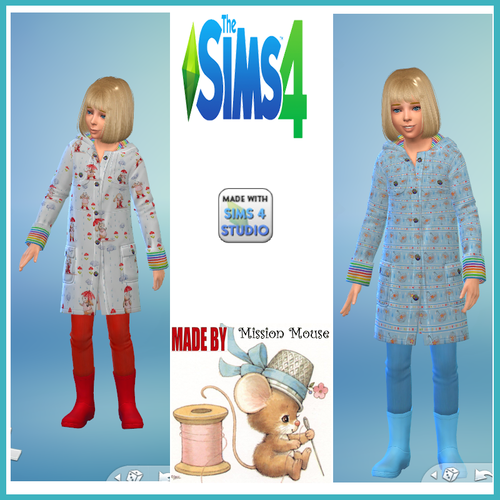 I hope your Simmie's children have fun splashing about in the rain! These are really cute! I don't have the Seasons Exp.